Rob's first book, The Human Side of School Change, is available online from Amazon, and Barnes and Noble. It provides practical advice on problem solving, communication, and staff motivation. It argues for more realistic expectations about the pace of reform and the performance of leaders. And it presents a way of approaching all school improvementa conceptual framework for understanding change as a process, educators as people, and leadership as a craft. By concentrating on the realities of life in schools and the common personal barriers to change, the book illuminates the key sources of resistance to school reform. Grounded in a thorough understanding of human behavior and organizational functioning, it provides a new model of leadership along with practical management strategies for building a framework of cooperation between the leaders of change and the people they depend upon to implement it. 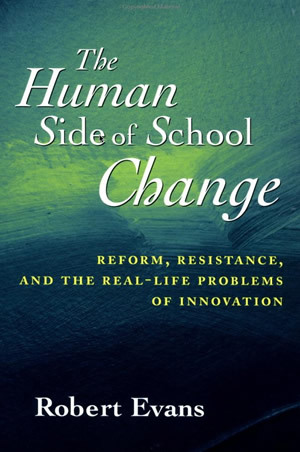 "A unique, superb, and penetrating analysis of the human side of educational change. Evans knows the human realities of change and portrays them vividly in both individual and organizational terms. His discussion of hope and realism in the final chapter is a gem." "Evans has written a realistic yet hopeful book that sets a new standard for providing the leadership needed to implement school improvements. 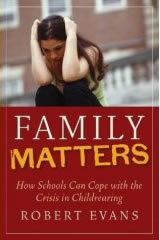 An engaging and much-needed update of the critical, but often overlooked, human side of change."